Ardent Properties Inc. provides expertise in fiscal management and property maintenance. We assist councils with navigating the nuances of non-confrontational dispute resolution and the enforcement of bylaws and rules under the Strata Property Act. Call us today and speak with one of our highly experienced Strata Managers (250)-753-0881. Ardent Properties Inc. administers the banking and financial records of the Strata Corporation in one of two ways. One, the Strata Corporation has its own bank account and only strata council members are signing officers. Two, the Strata Corporation uses Ardent Properties Inc. banking accounts. At the direction of the strata council we invest the restricted surplus. For the convenient payment of strata fees Ardent Properties Inc. offers pre-authorized electronic transfer to the strata corporations. Ardent Properties Inc. is well versed in the types of insurance coverage that is required by Strata Corporations and typically negotiates preferred rates. In some cases we are able to obtain additional coverage at no additional charge and discounts to individual owner’s policies. Hands-on, personal attention to both the property owner and the building residents. We work with every strata council to help develop a comprehensive Welcome Package for all owners. This helps to create a feeling of community and eliminates communication and expectation problems. Ardent Properties Inc. works with the strata council to establish a realistic depreciation report in order to accurately establish the appropriate strata fee and reduce the probability of a special levy. Ardent Properties Inc. works closely with the strata council to develop an accurate annual budget. During the year our monthly reporting includes an income statement and balance sheet complete with year to date budget variance figures. Ardent Properties Inc. collects the monthly strata fees and corresponds with owners who are in arrears. We administer other applicable fees such as parking, move-in fees or fines. Ardent Properties Inc. attends all strata meetings, records minutes, and corresponds with other parties at the direction of the strata council. Ardent Properties Inc. arranges all aspects of the general meetings. Ardent Properties Inc. responds to bylaw infractions and levies fines where authorized. Ardent Properties Inc. responds to requests for documentation from conveyancers, realtors and other parties. Ardent Properties Inc. collects a fee from these third parties in accordance with the fee structure outlined in the Strata Property Act. Ardent Properties Inc. assists in the preparation of bid specifications and obtains quotes from reputable vendors at the direction of the strata corporation. Ardent Properties provides dedicated online sites to each strata for secure access to important strata information and documents. Strata councils and owners can download minutes, site plans, financials and more, anytime, 24/7-365. Ardent Properties Inc. provides 24-hour response service for emergency repairs. 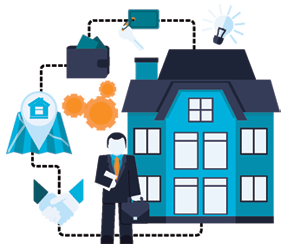 Tired Of The Stress That Comes From Managing Your Own Property? Ardent Properties provides customized solutions based on immediate & long-term property needs. We work with our clients to protect their investment and maximize their revenues. Full-Service Strata Management For Central Vancouver Island. Cost effective and efficient, Ardent Properties Inc. creates a harmonized community environment ensuring all parties have their needs met.